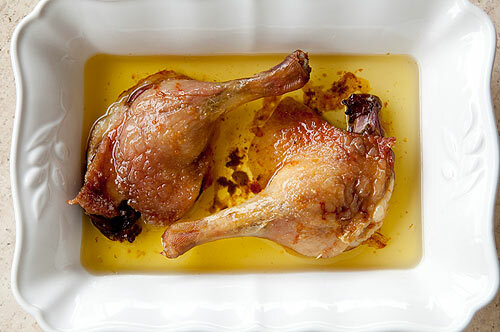 Confit is often considered a means to an end. It’s how many couples kick off dinner, destined for a night of passionate eating, but often as soon as confit is served, the rest of the dinner usually falls by the wayside. Some people think that confit is so full of pleasure on its own that side dishes aren’t important. There are tons of nerve endings in your lips that stimulate desire, I say. A glass of wine before, during, and after the first course can be extremely arousing and satisfying. However, not all confit are created equal; the trick is knowing that sugar to salt and herbs are to intensify and compliment flavors. Luckily, I’ve gone ahead and mapped it out for you. Try these tips to cook your way to total bliss. Strip the duck down, and place his pieces in a bowl. Unlock your lips, and swirl your tongue around in a circular motion as if you were licking an ice-cream cone. Don’t be afraid to do something new. To make tastes that sinter. Rub in, sugar, salt and spice. Vary the intensity of the pressure, and maintain the back-and-forth rubbing so the flavor’s penetrate. When the duck warms, don’t stop. Keep going. Now the culinary passion is quickly building as you rub the duck with spices. Give a long, soulful moan, like you want to devour the duck whole. Your partner will love that you’re in control and are taking possession of the cooking method. Then like a sea scoundrel or an undefinable rogue cover and let rest over night. On the rays of first light, pull the duck from it’s bed and wash it clean. Simmer in fat, until the meat shrinks from the bone. Remove, steaming hot from the oven and let cool. Crisp in cast iron pan, skin side down. Drink and serve. Rub salt mixture all over the duck to cover completely. Cover and refrigerate at least 24 hours. Remove and rinse the duck. Pat dry and don’t damage the skin. Cook in duck fat at 275 until the meat shrinks from the bone. Let cool crisp in a cast iron pan before serving. It saving for later be sure to remove excess fat from the duck before heating. For long term storage cure the duck for 3 days to allow deeper penetration. Store submerged in the fat. The duck should keep all winter.